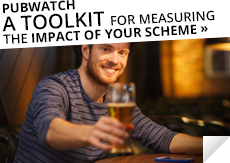 In recent years National Pubwatch has sought to acknowledge the valuable contributions that many individuals have made to the success of watch schemes around the country without which many schemes would wither and fade making them less effective. The result has been the creation of the Award of Merit presented annually at each National Conference. 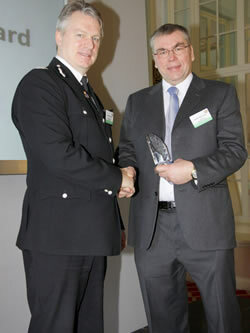 The award was first presented at the Conference in 2010 at Whittlebury Hall in Northamptonshire. Sharon is the owner of two Doncaster pubs, the White Swan and the French Gate. She has been the Chair of Doncaster Pubwatch for the last 7 years. She is nominated for this award by Peter Jackson, the National Pubwatch Yorkshire Regional Representative, who stated that Sharon is the backbone of her local scheme and has managed to bring together all nine separate schemes in the Doncaster area by forming a regional group with a standard information sharing agreement. 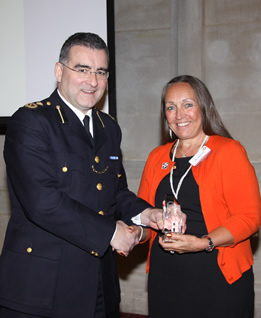 She is specifically praised for her commitment to work with other stakeholders to address the issue of violent crime, as Doncaster was identified by the Home Office in the early 2000’s as a violent crime hotspot. But she has also championed a multi-agency approach; with the setting up of a Safe Space initiative; the relaunch of Best Bar None; and support for their local Street Pastors. Her nomination is supported by Andrew Steele, the police licensing officer and Richard Mirfin the town centre Sergeant. Both highlighted the effectiveness of Doncaster Pubwatch and the role that Sharon and the members play in providing safe and responsibly managed venues. 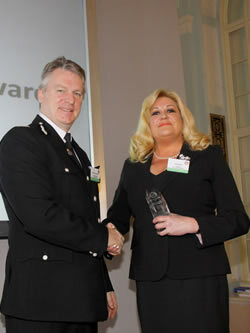 They stated that she is committed and passionate about the Pubwatch scheme. 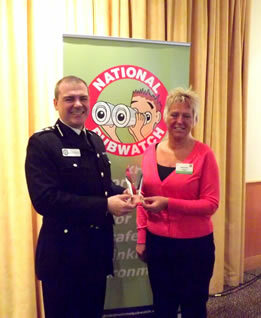 “Sharon ensures that Doncaster Town Centre Pubwatch operates to National Pubwatch good practice advice. As an ex-Police Sergeant with Yorkshire Police I can say that her relationship with the police is second to none and she and her members are keen to assist wherever possible”. “From the time she took over as Chair of Doncaster Pubwatch, Sharon Fiddler has been a staunch supporter of Doncaster Street Pastors. 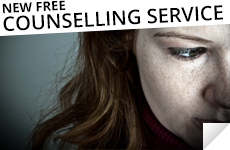 She has ensured that the Doncaster Street Pastor Initiative has been an equal partner with Doncaster Pubwatch, and has always publicly expressed her support for our work. Under her chairmanship of Pubwatch and with the strong support of Steve Butler as Pubwatch Coordinator, we have always had a voice at Pubwatch meetings and a slot on the agenda. Sharon was instrumental in persuading Doncaster Pubwatch to finance the leasing of the Street Pastor radios for a number of years. In partnership with the Council’s Public Health team, I have worked with Sharon for some time now in trying to develop a Safe Haven in the town centre for the night-time economy. It has shown me her desire to work for a safer town centre, to enable people to enjoy coming in to town during the night time and to make it the most enjoyable experience possible for them. 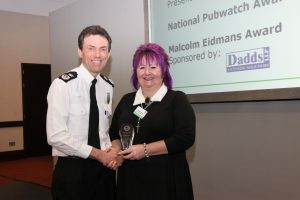 This is something that Sharon continually strives for, and not just through the Safe Haven initiative, but also through her passion for making sure that Doncaster Pubwatch reflects that desire”. Emma has been the general manager of the Lord Derby Pub in Lytham St. Annes since March 2013 and has been the Chair of Fylde Pubwatch for over 3 years. The scheme currently has 51 registered members and is closely aligned to the larger Blackpool Pubwatch. The schemes robustly promote the reduction of violent crime, theft, anti-social behaviour and illegal substances. Emma’s committee consists of a 6 local pub managers who meet on a regular basis to deal with incident forms and discuss projects they would like to deliver locally. The full membership meet on a quarterly basis. During these meetings Emma has arranged for regular presentations and briefings on such things as age verification, drugs, conflict management and accredited apprentiship’s in licensed hospitality. She has been responsible for delivering a number of local initiatives. For example in February 2015 in partnership with the council she launched their ‘Raise the Bar’ initiative to help raise the standard of working practices in meeting the four licensing objectives. 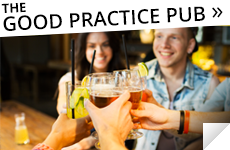 Emma delivered training to 20 licensed premises who had volunteered to participate and be assessed by the local authority licensing department who independently scored each premises over the following weeks. The local Superintendent subsequently presented certificates to participating premises commended the Pubwatch scheme for delivering the initiative. In April 2015 Emma approached North West Ambulance Service about defibrillators in licensed premises. She then involved a number of older, regular customers who were holding weekly meetings in her premises and together than ran a charity event to raise funds. Since that date Emma has raised sufficient funding to purchase a total of 4 defibrillators and training has been given to Pubwatch member’s staff and members of the community. Chris Hambly Environmental Health Manager says: “Since taking over Chairmanship of the Pubwatch in 2014 Emma has rejuvenated the scheme, taking the time to actively seek new members, welcome them to the borough and assist in identifying those persons who have been banned from entering licensed premises. At a time when police and local authority resources were scarce she in conjunction with local Pubwatch Coordinators created their own locally tailored accreditation scheme. The scheme has been a great success with numerous premises participating. In both my current role and previous capacity as a licensing officer, I welcome Emma’s support and the contribution she makes to the licensed trade in Fylde and the positive way she seeks to promote the licensing objectives”. Mike Schoteten Community Beat Officer says: “I have known Emma for a number of years and can say that she is very professional friendly and approachable individual. She has gone out of her way to help me in my work as the St.Annes beat officer. For example she has played an integral role in promoting the use of the local radio network which has helped to improve communication between police and licensed premises but also has wider community safety benefits. She is widely regarded within the local community for her on-going work with the Pubwatch scheme which has had a positive effect on making St. Annes a safe and friendly environment to visit”. Miss Patricia Higginbottom the coordinator of the Lord Derby friendship group says: “I have been coordinating the friendship group at the Lord Derby for nearly 5 years. Our group can now boast over 140 members who are between 50 and 90 years of age and Emma has been very supportive of our needs and helping us to gain recognition for our activities through the local press. She has helped us run a number of charity events at the pub which has allowed us to raise money for such things as the Chernobyl children’s charity and Donna’s dream house which provides a holiday facility for terminally ill children. Some time ago Emma told us about the Pubwatch initiative to place defibrillators in a number of Fylde pubs and she asked if we would help with fund raising. My first jokey response was yes of course we would, because at our age we might need it! Our group wholeheartedly supported the idea and ran raffles to raise the sum of £500 as a contribution to purchase the first piece of equipment. A number of our members, together with the management and staff of the Lord Derby attended training given by on how to use the defibrillators and provide CPR. I believe that having the equipment and training, not only benefits the pub but also our group of 140 elderly members together with nearby residents and retail premises. Emma is a credit to herself and is an outstanding member of the pub trade and the community of St.Annes”. Marion is employed as the Night Time Economy Manager at Lincoln Business Improvement Group but she has previously been a licensee and door security compliance officer. As part of her role she provides secretarial services to the two pubwatch schemes operating within the Lincoln BIG area and which cover a busy high density range of licensed premises. However she goes far beyond this in the practical help she provides to the chairmen and she is even known to monitor the pubwatch radio when she is not at work to ensure the members have support when they need it. She is always supportive of initiatives that will assist the members to run their businesses to the best potential. An example being the lead role she takes in running the Fresher’s fair when new university students arrive in the city and the provision of accommodation and storage facilities for the local street pastors. PC Laura Magson says: She acts as an important conduit between those in the licensing trade and the police, regularly passing information, intelligence or simply making introductions for those who do not feel comfortable to approach the police directly. This special relationship has proved invaluable for the promotion of the licensing objectives and highlights her immense credibility and the trust that is placed in her by those involved in the scheme. Paul Oloo Chair of the City Centre Pubwatch says: She looks after all our administration, venue, refreshments etc. She assists and encourages new licensees to join the Pubwatch and radio link scheme and is often around the city outside of her usual working hours. Her operational background in the sector has been a great benefit to the pubwatch as she has a unique understanding of the issues we have to contend with on a day to day basis; without Marion our Pubwatch would probably not be the success it is. Matt Corrigan Chief Executive of Lincoln BIG says: Marion’s enthusiasm is infectious! She brings a drive to good night time management in Lincoln, as well as an in-depth knowledge and understanding of the industry built up over many years. She recognises that as well as a safe night out, people want to have a good time and that the evening economy is an important part of the city centre. Her ability to bridge the divide between the public and private sector has earned her the respect all, from regulators and agencies through to owners and landlords. 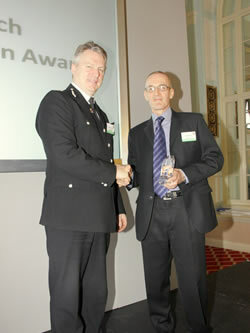 Alan Graham has been nominated for this award by Inspector Terry Finn of Greater Manchester Police. Alan is the current Chair of Droylsden Pubwatch and has been a licensee for many years. Droylsdens Pubwatch was established in 2012 following a gangland shooting in a local pub, which ultimately led to the murder of two young female police officers in the area. Police responded strongly to the unusual circumstances by issuing a closure order for all pubs and restaurants in the area in an effort to tackle crime and anti-social behaviour. To show their collective support, the area’s 30 pubs and restaurants agreed to band together to issue known criminals with lifetime bans from all licensed premises. Despite threats and violence, the pubs and pub owners have remained dedicated to the cause. 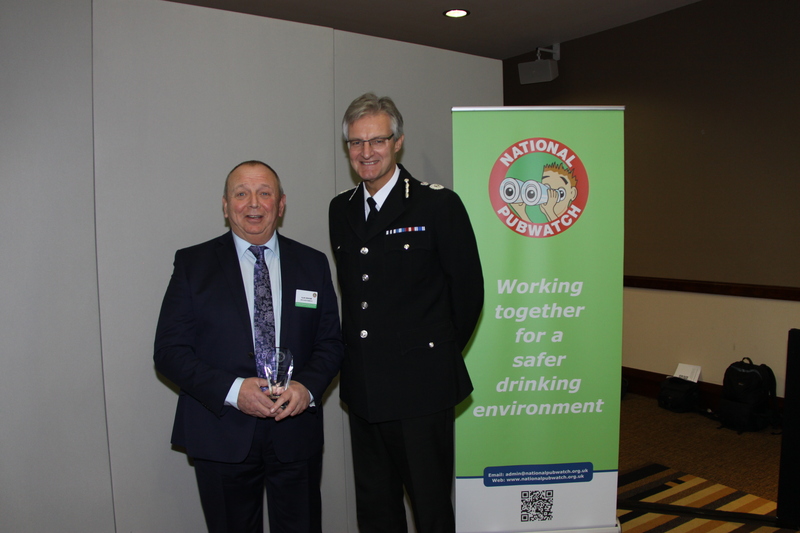 Droylsden Pubwatch were recipients of the Diageo National Pubwatch Award in 2015. Terry says: “Alan chairs the Droylsden Pubwatch each month. This is the best attended meeting across Tameside and it would not be as successful without his drive, enthusiasm and commitment. I attend all of the meetings as the Neighbourhood Inspector and have witnessed at first hand Alan’s genuine desire to improve the scheme and to promote the ethos of Pubwatch. He is an excellent example of how these schemes should be managed and chaired. The scheme at Droylsden was created due to some significant issues that became apparent within the community. I have no doubt that Alan and the scheme has significantly contributed to the safety of the area”. “I have worked closely with Alan over the last 12 months. I have seen him take the principles of his scheme at Droylsden and promote this across the whole of the Tameside borough. Although Pubwatch existed within Tameside Alan has provided that drive and leadership to really push the benefits of the scheme to other chairs. It has been refreshing because it has been licensee led with minimal support from the police. He has attended every scheme meeting across every ward; has personally visited dozens of pubs to promote the value of the scheme and to explain the benefits of on-line messaging. There are now a number of successful (and growing) schemes across the borough and Alan has even begun to work on developing the scheme in Gorton, in a different borough of GMP. Alan is an excellent role model and an individual who wants to solve problems and to share “what works”. It is a pleasure to work with him”. Chief Superintendent Caroline Ball says: “I have known Alan for approximately two years. During this time I have found Alan to be one of the most passionate members of the community I have ever met. He is determined to do everything in his power to make Tameside a safer place to live, work and socialise and stamp out criminals that have been allowed to flourish in the past. He works very closely with the police, local authority, business communities and local people. He understands the need to work in partnership to create a momentum to stand up to those individuals intent on breaking the law and spoiling the area. He personally has the bravery and resilience to make a stand where others have not, putting the community first. He seeks out innovative ways of approaching problems and is constantly looking to spread the approach across Tameside and Manchester. He has put a lot of effort into helping Pubwatch schemes launch and develop in a number of areas of Tameside and has shared his ideas and experiences with many business colleagues. He is not afraid to challenge public services where he feels that more should be done and is a “critical friend” to the police. He does this to make a difference and make changes that have a lasting impact on the borough and the people who live here. I fully support this nomination”. Michael is the Chairman of Nottingham City Pub, Club and Hotel Watch which was set up in 1990. 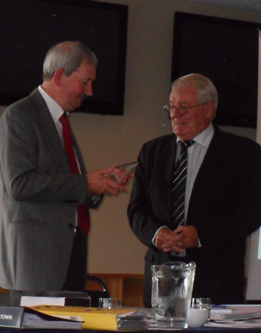 He has been a scheme member from the outset and their Chairman for the last 17 years. It is a large city centre scheme and regularly attracts over 100 people to its meetings. Michael was the manager of a city night club for many years and latterly has been working as a consultant providing advice and training to the pub and hospitality sector. He has been nominated by the Watch Secretary David Lucas who states that Michael has unselfishly devoted a large amount to his personal time to Pubwatch commitments. The Nottingham City scheme contains a diverse range of member’s premises and it is a testament to his management skills that the scheme is so strongly supported and has had such longevity. He has fully supported the police and other stakeholders in their efforts to drive down crime, such as the recent Local Alcohol Action Area initiative to provide additional training for bar staff in order to prevent alcohol sales to intoxicated persons. Angela Rawson the Nottingham City Licensing Manager says “He has been a prominent character in Licensing for as long as I can remember. I have had the pleasure of knowing Mike for a long time, beginning with my youthful trips to the venues he operated and then coming across him whilst I was working in the licensing field. Our paths then crossed again as Pubwatch (as it was then known) emerged and grew into the established Pub, Club and Hotel Watch entity it is now. The commitment Mike has given to the cause is admirable and a deep seated reason why the Nottingham organisation has become so strong, not only as an accessible source of information linking operators, but as a conduit for the partnership working which is prominent in Nottingham”. 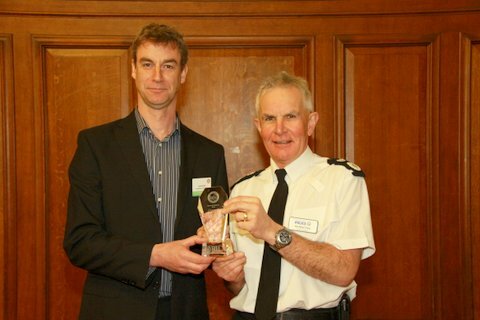 David Browitt the Nottingham City Police Licensing Officer says “Michael Knight has been the driving force of the Nottingham City Pubwatch as Vice Chair and Chair for the past 25 years. Throughout his tenure he has equally supported the trade and the police. His organisational skills have been second to none and the Nottingham City Pubwatch is renowned as one of the best in the country. He has always been an expert facilitator encouraging his peer group to support the scheme. Sadly Michael no longer spins LP’s and 45’s at the Palais de Dance, but he will always be fondly remembered for his witticisms and total commitment to the scheme”. Nigel was the Chairman of the Sheffield Licence Watch for over 12 years. Sheffield Licence Watch is a crime prevention scheme run by local licensees and established in 2002 by People United Against Crime (PUAC) a registered charity. Supported by South Yorkshire Police, Sheffield City Council and Crimestoppers, it is a city wide initiative with over 800 members. Nigel has recently retired from the Pub trade, having run The Ranmoor Inn in Sheffield for over 12 years. He and his wife Vanessa were joint partners in the Just Williams pub chain that once comprised the city centre Three Tuns, The White Lion in Healey, The Star and Garter in Winter Street and The Closed Shop in Commonside as well as the Ranmoor. Nigel is fully committed to the pub trade and has been a member of the British Institute of Innkeeping for many years and is currently the Chairman of their Yorkshire branch. He has been nominated by Malcolm Sissons the current Chair of Sheffield Licence Watch who states that Nigel is a well liked and respected member of the license trade, both locally and nationally. The licensing trade is his passion and he has served on a number of local and national bodies. He is a skilled negotiator with good people skills, friendly and helpful to all and regularly hosts and presents at member meetings, events and conferences. In his role as Chairman he oversaw the transition to the new Licensing Act 2003 and engaged in local negotiations with South Yorkshire Police regarding data sharing agreements. A very active Chairman, who has participated in a number of local initiatives, such as the judging panel of the Sheffield Best Bar None Scheme. 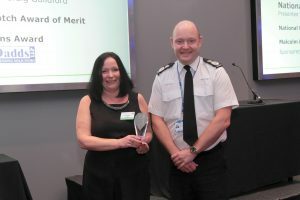 Benita Mumby, the South Yorkshire Police’s Force Licensing Manager says “I have been in post for the last three years and support Nigel’s nomination for the Award of Merit. During this time, I have been involved in the Sheffield Licence Watch Committee meetings and have found Nigel to be professional and extremely knowledgeable about the Licensing trade and how problems, if not dealt with, can affect the businesses and the community in which they are located. Although I attend the meetings as a guest, I have always felt that Nigel valued my opinions on licensing issues, just as much as those who are members, including discussions around the Police perspective on the night time economy, and possible ways to address them. One of these ways was to ensure SLW had a current, relevant, data sharing agreement in place between themselves and SYP. This gave Watch members the confidence to request individuals to be banned from licensed premises knowing that their request, under the agreement terms, would be dealt with not only by the Committee but also their local Police. 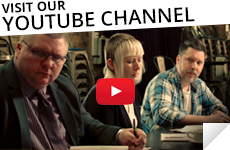 This has assisted with increasing Licensee’s confidence that South Yorkshire Police do take their concerns seriously and will assist to take action against those individuals who wish to cause problems. Alan is the Commercial Manager of the Student Union and the operator of the universities bars and night club at The Old Fire Station in Bournemouth Town Centre, a 1500 capacity venue. He has been the Chairman of Bournemouth Town Watch since 2007. In his first year in office, Bournemouth Town Watch was voted the winner of the Morning Advertiser Pubwatch Award for Social Responsibility. 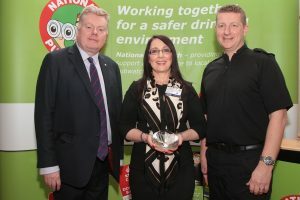 In part the award was a result of keeping a strong control of alcohol promotions and ensuring that the scheme maintained its commitment to Town Watch policies. But in equal measure Alan will stand up for the membership if he feels that public bodies exceed their authority. However he is seen to be extremely pragmatic, choosing never to air his views to the media and encouraging stakeholders to discuss issues face to face in mature debate. He has the total respect of the trade and all partners in the night time economy, even when they do not always see eye to eye on a given issue. He has worked tirelessly for the Town Watch scheme, chairing the Night Time Economy Steering Group which directs the work of the NTE Co-ordinator, and playing a key role in the Town Centre Management Board, which has representatives from business, retail and the Council and directs strategy for the town centre as a whole. Alan used this platform to raise awareness of the benefits and opportunities that the night time economy brings to Bournemouth. More recently Alan was invited to be a member of the NTE Strategy Group, which is chaired by the Executive Director for Environment and Economy, and he participates in a collaborative, challenging and inspirational manner. Alan is also a member of the Town Centre BID board. Following intense discussions with Councillors and the Police in cementing of future policy for the night time sector, it was Alan who suggested and implemented the ‘Bournemouth by Night’ report, with a joint council and trade agreement to fund the work undertaken by Feria Urbanism. This report has now been adopted by the Council and is the focus for the NTE Strategy Group, and has already impacted on key areas prompting the continuing need for change. This has included the creation of shared space at Horseshoe Common to reduce anti-social behaviour in a crime hotspot, design changes for the night as part of the emerging seafront plan, and the task to include a night element in the new signage changes for Bournemouth. At the time of the introduction of the first ‘Light Night’, Alan was fully involved, using University connections to create dramatic art and light installations. In 2013 the Light Night was connected to Purple Flag week as a fringe event of the Arts by the Sea Festival, which was completely organised by Alan and using local students to develop, design and install the project within tight time constraints in the first ten days of the new September term. Susan Clenshaw is the secretary of a private members club in March Cambridgeshire. She is also the secretary of the March Pubwatch scheme. Susan is keen to ensure that March Pubwatch is run responsibly and in 2010 approached National Pubwatch for advice and guidance as the watch appeared to be faltering and was on the verge of collapse. Susan has put many hours of her own time into the Watch, recognising the effectiveness and importance that Pubwatch plays in ensuring the night time economy does not impact negatively upon crime and disorder issues. Susan has reviewed and amended local rules and policies based upon best practice. She has dealt with difficult internal membership issues in a calm and professional manner. Not only does Susan have a passion for her own Watch, but she maintains contact with neighbouring schemes and through that liaison recognised that one Watch was operating outside National Pubwatch guidelines. She highlighted the issue to National Pubwatch. Because National Pubwatch was able to engage with the Watch at an early stage it prevented a potential serious legal challenge. The Pubwatch Police liaison officer PCSO Susan Clarke says: “Sue has been an inspiration to March Pubwatch. Her attendance is outstanding and her professionalism shines out. She has had to deal with some very difficult situations and has researched into finding the best outcomes to get the job done. Helen is the licensee of the White Hart in Kendal, Cumbria – a busy town centre pub. She is one of the original founder members and Chair of the Kendal Barwatch which has been in place for over 11 years. She has worked tirelessly to ensure that local licenses understand the benefits of joining the partnership and that it operates efficiently. She is said to be an excellent organiser and can be fully relied upon to carry out her duties. At the launch of the Barwatch scheme she even arranged for Border TV to cover the event. As the scheme evolved Helen took on the role of voluntary Night Time Co-ordinator. She monitors the radio link, ‘checking the pubs in’ every evening. Messages are passed via her and she ensures that all radio link users receive them. She also contacts the police if they have any trouble and provides liaison throughout the night until four in the morning – even though her pub closes at midnight! Although Helen has been troubled by ill health over the last few years she has always managed to attend the monthly meetings and to support the scheme. She welcomes new managers and helps them to get to know local troublemakers. She has the respect of other Kendal licensees and her dedication and professionalism has led to the success of the Kendal Barwatch. Local Inspector Paul Latham of Cumbria Police says “Kendal Barwatch continues to contribute positively to the reduction of anti social behaviour. There is no doubt that the threat of a ban from all the pubs has had a marked effect on potential troublemakers. Without Helen’s commitment, I believe that the Kendal Barwatch would probably not have got off the ground and certainly would not have been the success it has proved to be”. Joe Murray National Pubwatch Committee member says “Helen is an excellent role model for the type of person who will make a Pubwatch scheme a success and she is a worthy candidate for the Award of Merit”. Mark is the licensee of the Figure of Eight public house on Broad Street. He is very popular amongst his fellow licensees and is dedicated to promoting Broad Street as a destination tourist location. He has chaired the Broad Street Pubwatch for the past 5 years. The scheme brings together the multitude of pubs and clubs that are located in one of the City’s most prestigious streets, home to one of the UK’s largest entertainment areas. Mark is Community focused. He serves as a director for the local Broad Street Business Improvement District. He also gives his time voluntarily to work with the Night Time Economy Steering Group, where partners from the BID, City Council, door supervisors and police work to enhance the night time economy and create a safer environment for visitors and revellers. The work of the group is varied and involves strategies for student nights, taxi issues, pedestrian areas and reduction of crime. He actively supports the local police in conducting theft reduction operations and projects to reduce violent crime and anti social behaviour related to motor vehicles. Sergeant Dave Francis of the Birmingham City Centre Neighbourhood Teams Say’s “Time after time Mark demonstrates his commitment to making Broad Street a safer place to live, work and play”. Mick Barns of Birmingham Retail Crime Operation said “Mark Tanner plays an important role in helping us to keep Pubwatch and its members within our intelligence link. He is fully committed to his role and is keen to be involved in activities that make Birmingham a safer place to visit. I fully support his award”. Trevor Pepper from National Pubwatch said “Mark is a dedicated Chair of Pubwatch and is committed to the core aims and objectives of Pubwatch and making Broad Street a safe and enjoyable place to socialise in. 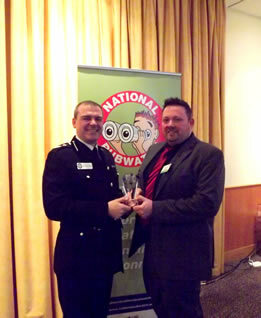 He is a very worthy recipient of a National Pubwatch award”. Janet Dooner is and independent licensee at The Railway Tavern, Stratford London. She has been the Chair of Newham Pubwatch for over 20 years and it currently has 40 members including pubs, clubs and the local theatre. Initially she was a member of a smaller local Pubwatch but she instigated moves for it to become a borough wide scheme. She has over the last 20 years built up good relations with the police and local authority although occasionally their operational role and perceived lack of support has led to lively debate. She invites different guest speakers to the schemes regular meetings and is constantly encouraging local pubs, clubs and other licensed premises to participate. Her premises are adjacent to the Olympic Park in Stratford and when London was awarded the games, she immediately recognised both the opportunities and the potential problems that were likely to arise for her membership. She has been working tirelessly with partner agencies to address these issues, including the Olympic Delivery Authority which is responsible for developing and building the new venues and infrastructure for the games. The new large Westfield Shopping Centre led to similar liaison. Awareness of the terrorist threat has featured highly in discussions. More recently and following some disturbances in and around premises on ‘match days’, she formed a Football Pubwatch sub-group comprising of 10 member premises which are located close to the West Ham United Football ground. During the inner city riots in the summer of 2010, prompt communication between members enabled them to remain alert and responsive to the developing situation. Miles Standish Murphy has been a licensee at the Wellington Inn in Eastwood Nottinghamshire for the last 12 years. He is the Chair of the Eastwood and Kimberley Pubwatch scheme. The scheme was formed over 10 years ago when he assisted both areas to come together under one Pubwatch and it now has over 40 members. Member premises range from busy town centre establishments to those situated in charming rural locations. He has regular contact with the local police, council and other interested parties regarding crime prevention and the night time economy and he has been proactive in encouraging all managers and tenants to attend Pubwatch meetings. He promotes the schemes activities through regular press releases and was instrumental in setting up the Pubwatch website. He has been involved in a number of initiatives which have had an impact on alcohol related violence in the area which has included the launch of a radio link scheme. More recently he assisted Nottinghamshire Police to implement a Pubwatch Information and Photograph Sharing protocol and now every licensed premise in the area has access to photographs of banned people. He has a strong commitment to representing the interests of the pub trade but recognises the importance of partnership working. For example he attends Pubwatch meetings with colleagues across the border in Derbyshire to share information. He has attended many workshops and seminars beneficial to improving his role within the Pubwatch scheme. The most recent being a three day Home Office Alcohol Enforcement training event for operational police officers where he was able to offer a perspective from the licensing trade and Pubwatch. About four years ago he suffered heart problems but continued to conduct Pubwatch duties even when in his hospital bed! Nottinghamshire Police have recognised his commitment to Pubwatch and service to the community with the award of a Police Commendation. Joe was originally an engineer by trade and has worked all over the world. He has been a licensee for 17 years having taken over the Ship Victory pub in Chester in 1994. The Ship Victory is a traditional community pub in the heart of the city and it is a measure of Joe’s involvement in the community is that he has raised almost £100,000 for the Countess hospital in memory of his daughter Angela who died from cancer in 2002. He has been actively involved in the Chester Pubwatch Scheme for many years and has held the position of Secretary since 2001. 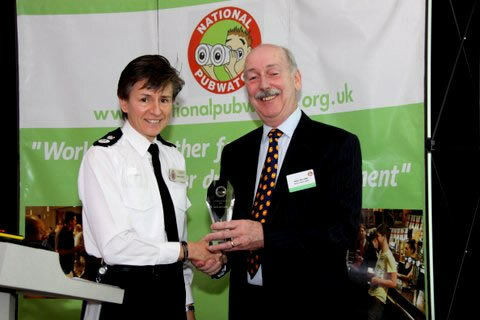 Chester Pubwatch is recognised by National Pubwatch as a strong independent scheme which is run by the licensee members. It promotes good practice and supports its members through a close working relationship with the local police and its training programme aimed at new licensees and their staff. Joe’s hard work and good humoured approach to the role of Secretary has been crucial to maintaining the consistent approach needed to keep Chester Pubwatch relevant to the pub trade and an effective partner to the police and local council. Inspector Ian Thorp of Cheshire Police says, ‘Cheshire Police really values the relationship that it has with Pubwatch, which is extremely strong in Chester City Centre. Chester continues to record positive trends in relation to the levels of violent crime and anti social behaviour at night time in the City. There can be no doubt that the efforts of Joe Gildea together with other key individuals involved in Pubwatch have played a significant part in this success. Whilst he is standing down as Secretary at the Chester AGM we are pleased that he has agreed to continue in the role of the Cheshire Regional representative to National Pubwatch where his experience as a both a licensee and Pubwatch member will be of great value to local licensees who need advice and guidance. Julia is relatively new tothe licensed trade having taken her first pub the Red House in Old Swan Liverpool in 2006. Julia became an active Pubwatch member when her scheme was set up in 2007 and has been the Chair for the last 18 months. Julia has been responsible for rejuvenating her scheme; encouraging new members and gaining the support of the police and Trading Standards. She saw the importance in getting the local businesses to work together to promote the area and reduce crime and now many of the local shops which sell alcohol, including Tesco’s and Aldi have joined the scheme. As with all our award winners Julia has readily worked with other key partners such as the local business and residents associations to influence and improve her area and she also supports the local community by organising or helping others to run events and festivals. Julia has highlighted the need for a local independent Pubwatch scheme saying that ‘the ability to manage our own problems and ban trouble makers gives us the strength we need to make Old Swan a safer place for the local residents’. NPW Committee member Frank Marnell says “Julia should be commended for her leadership, strength of character and determination to make the Pubwatch a success at a time of limited resources. She demonstrates all that is best in a local Pubwatch – a willingness to take responsibility and focus on the real issues that affect the pub trade and the wider community”. Geoff has for many years worked in a variety of roles within the licensed and retail trade. Seven years ago he set up the Silver Fox Licensing Consultancy and in addition he is currently the facilities manager of a local late night bar. 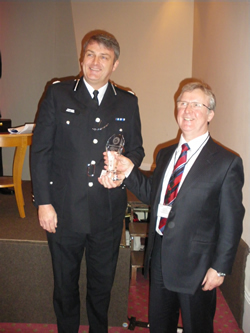 Geoff has been involved with the development of the Pubwatch network in Reading for over 5 years. He is currently the Chair of Tilehurst Pubwatch a position he has held for 3 years. He was also the Chair of West Reading Pubwatch for 15 months and has also chaired the South and East Reading Pubwatch for a number of months. He is also a committee member of the Town Centre Pubwatch and has represented Pubwatch on the Town Centre Delivery Group. Geoff has been involved in many of the Reading Pubwatch initiatives and has provided the technical and administrative support for their annual NO ID-NO SALES and Project Argus conferences. He helped to co-ordinate the KNIVES COST LIVES campaign to raise money for training materials to educate youngsters to the dangers of carrying weapons. He is the main coordinator for the impressive annual presentation awards night for the Reading Best Bar None scheme. 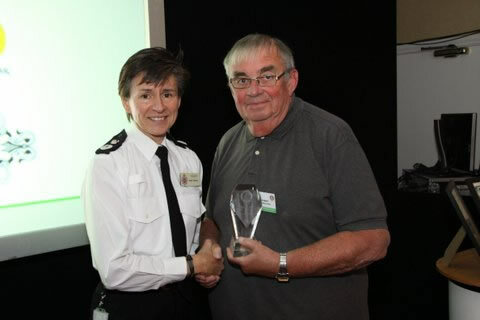 In 2009 Geoff was awarded a commendation from the Reading Safer Partnership Group in recognition of the contribution he has made to make Reading a safer place. NPW Committee member Bill Donne says that Geoff should be commended for the immense amount of work that he undertakes on a voluntary basis to support Pubwatch in Reading. Neil has been in the licensed trade for his entire professional career. He was a regional manager for the Spirit Group before retiring from that post in 2006 when he brought his own pub in Northampton – The Abingdon. Neil became Chairman of the local Pubwatch in 2007 and won the support of the membership with a presentation promising to take the watch to a different level using his knowledge and skills, drive and determination. He stated ‘Our objective is to protect you and our guests, the public from further crime and disorder problems arising from unacceptable behaviour. We achieve this as a collective of like minded licensee’s upholding th e licensing objectives’. He has proved to be an effective leader and has championed many local initiatives such as the use of Acceptable Behaviour Agreements to reduce crime and change offending behaviour. 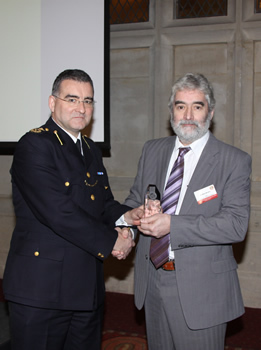 He has represented the Pubwatch on a number of local partnership bodies and has been instrumental in promoting wider social responsibility schemes. For example he is the deputy chair of the BID board and he sits on the Town Centre Partnership Board and the Community Safety Partnership Violent Crime Reduction Task Group. Neil recognised the potential for Pubwatch and Best Bar None to improve standards within licensed premises. He assisted the police and partners in preparing a BBN scheme for Northampton and actively promoted it, resulting in 24 members taking part in the first year. NPW committee member Mark Worthington says that Neil should be commended for the dedication and time he devotes to the watch and to the professionalism he portrays when representing them in the media and at different forums. David has worked in the pub trade for over 25 years. He has been actively involved in the Derby City Pubwatch scheme for 23 years and has been their Chairman for the last 15 years. He is a well respected member of the licensed trade and is recognised by the local police and community safety partnership as someone who can get things done; always with humour and a professional and considered approach. 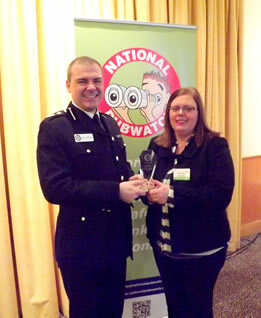 Derby Pubwatch has featured regularly as one of the top performing schemes in other licensing awards. They have a proactive attitude to promoting safe and responsible drinking and supporting community safety initiatives to reduce crime and disorder. David’s involvement is seen as a key to promoting and maintaining that important partnership approach. Steve Howe the Director of Membership for BII states that David ‘has shown outstanding commitment to raising standards and improving relations with other stakeholders to the benefit of the trade, the local economy and the general public’. Sergeant Neville Stocks of Derby Police states that ‘In the ever changing and challenging world of licensing, Dave has remained the one constant in Derby City centre, setting an excellent example for other responsible licensees to follow”.